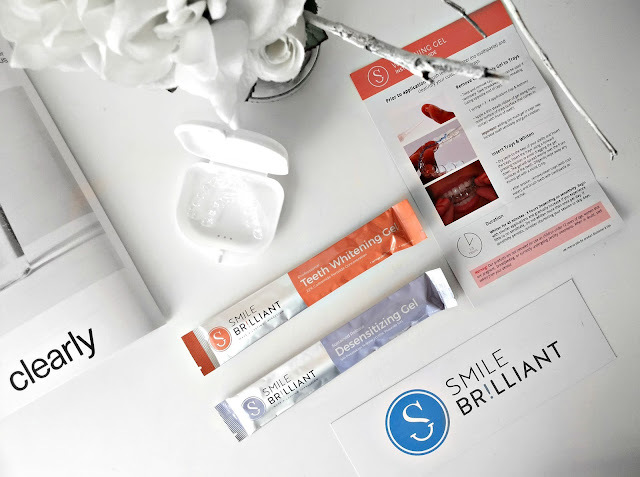 Today I want to talk about my teeth whitening at home experience with the Smile Brilliant Kit. 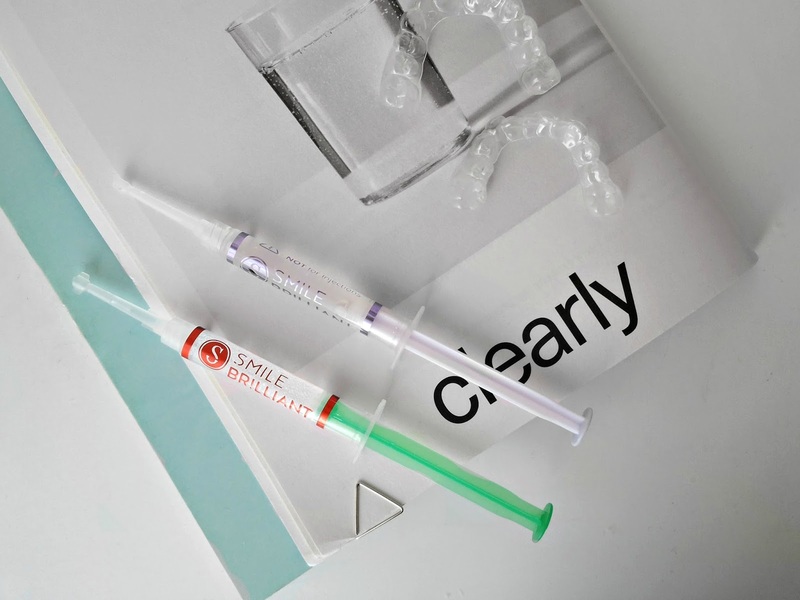 I'm obsessed with having a nice smile and white teeth, so in the past couple of years I tested a few at home teeth whitening solutions both natural and whitening kits, but nothing seemed to satisfy me. Then I had the chance to test the Smile Brilliant T3 SENSITIVE SYSTEM Kit and I instantly fell in love with it because it has a professional approach to the teeth whitening at home process and it is also very affordable. How does the SmileBrilliant Kit work? First of all, when you receive your kit, you'll make your impressions using the putty and plastic trays included in the package. It is super easy and quick...don't worry if I did it great you can do it too! Then use the envelope included in the kit to ship your impressions back to the USA lab. 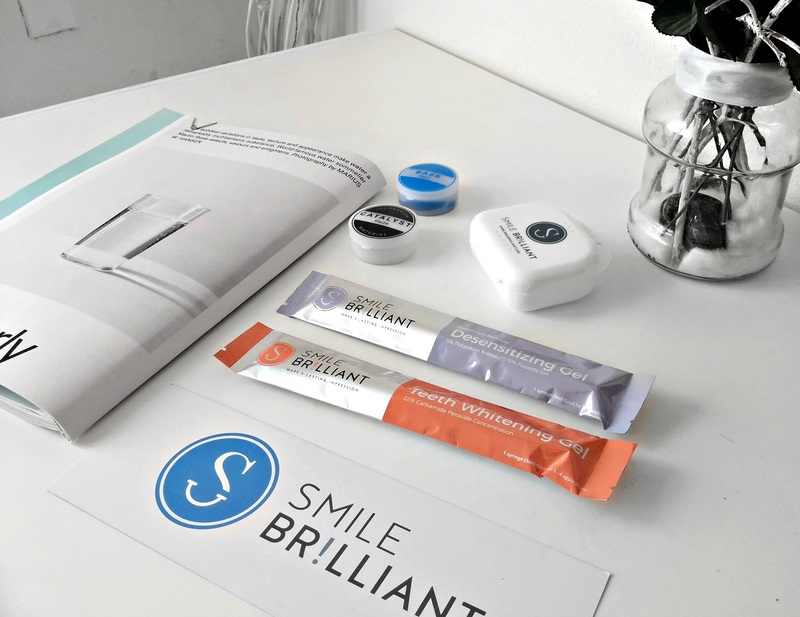 After receiving your impressions, the Smile Brilliant lab will create a pair of custom-fitted trays and send them back to you in 3-5 business days if you live in the USA. Because I live in Italy the shipping time was a little bit longer, but was not a big deal since I got my trays in maximum 10 days. Now it comes the fun part! I usually whiten my teeth after dinner and before starting using the kit I only brush my teeth with water because toothpaste can make the whitening process less effective. Then I apply a thin layer of teeth whitening gel on the upper and bottom trays...and trust me a little goes a long way so it's not necessary to use lots of gel. Also before I apply the trays, I always make sure to dry my teeth with a tissue in order to avoid saliva to be a barrier between the teeth surface and gel. The whitening process takes 1hour to 3 hours, it depends on your sensibility. I got quite sensitive teeth but the whitening gel is really gentle and I usually keep the trays up to 3 hours. At the end I go wash my teeth with toothpaste and then I also apply the desensitizing gel for 20 minutes. As I told you guys before, I really like the T3 SENSITIVE SYSTEM Kit. I used it for two months now, whitening my teeth once a week or once a couple of weeks, depending of my needs. 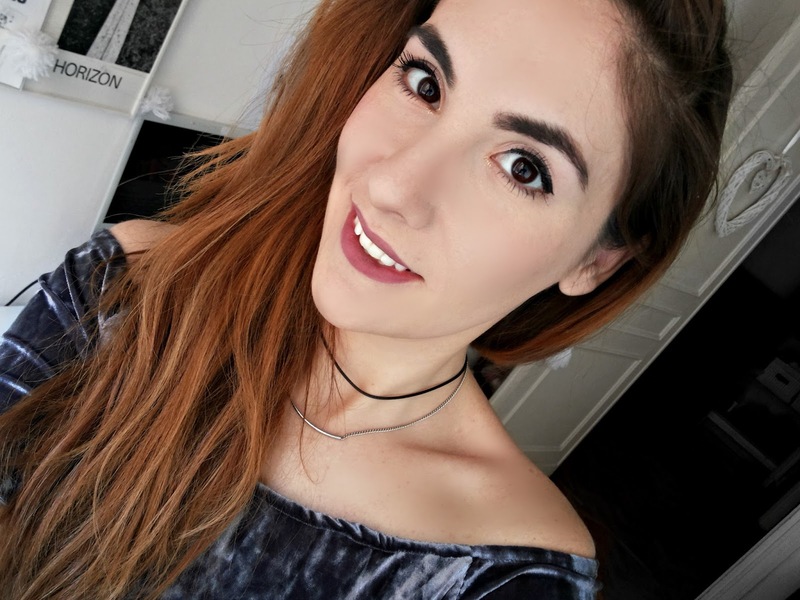 I never had super yellow or stained teeth, but drinking green tea and eating some staining foods my teeth got a little bit darker than usual. Using regularly Smile Brilliant kit my teeth got 2 to 3 shades lighter and I'm super satisfied by the result. PROS: professional lab and products, custom-fitted trays, whitening gel and desensitizing gel work very good, the whitening process is really effective and it lasts for a good period of time. CONS: I have really sensitive teeth so the day after I whitened my teeth I feel a little bit of sensitivity if I drink cold or iced drinks, but this sensation lasts only for 24 hours so it's not a big deal. Let me know in the comments down below what do you think about my review and if you ever tried Smile Brilliant kit or if you want to test it the the future. Teeth whitening can make your teeth sparkling white and beautiful. But, you should consult your dentist first before buying any teeth whitening product. Good to see these teeth whitening products here. I really liked it. Was also having same teeth whitening issue so approached to dentist Torrance who really helped by giving few tips and a whitening product too. Was happy to get white teeth in short time. Great review! I have tried just about every whitening product from apple cider to charcoal, this one actually was one of the easiest and most effective. I was starting to see a difference in only a couple treatments. I'd recommend it to everyone I know! These are brilliant tips for teeth whitening. If you're after for a better smile and brighter teeth then the Dentist Mango Hill would possible be the one that you needs for. 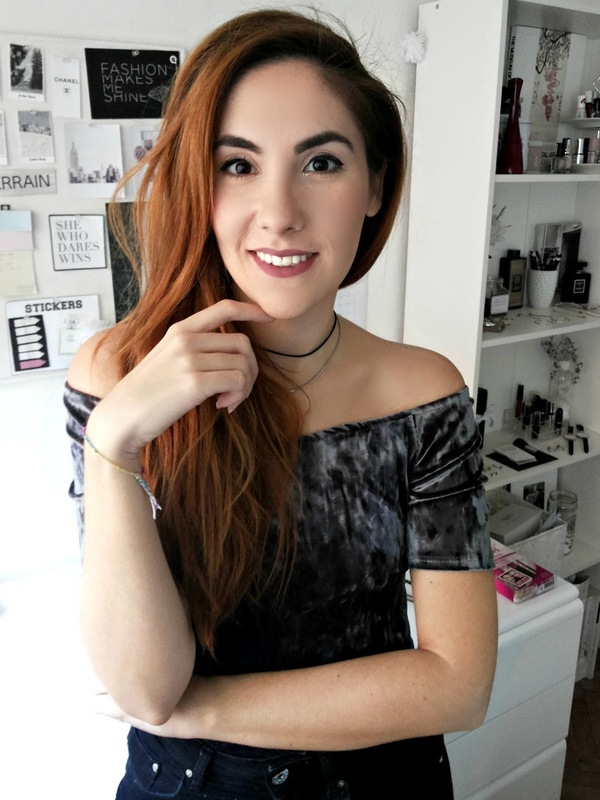 Thank you for giving us a lot of tips in your blog. For sure these will gives a lot of good perspectives for individual by following your tips. First the dental team will put a rubber shield or a gel on your gums to protect them. 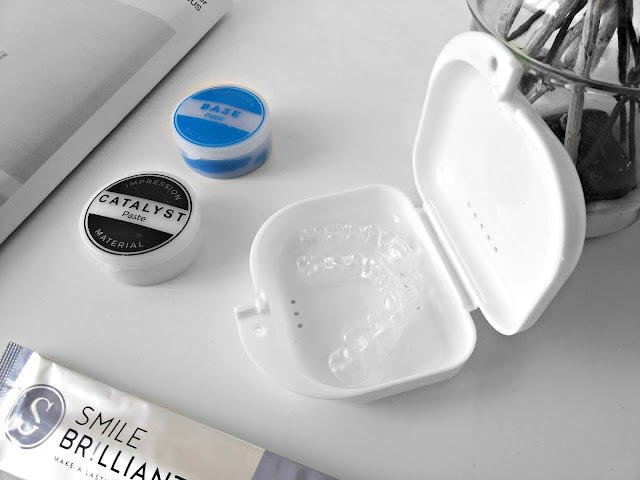 product to your teeth, using a specially made tray which fits into your mouth like a mouthguard. The 'active ingredient' in the product is usually hydrogen peroxide or carbamide peroxide. This sounds really good. I wanna try this myself at home, too. But of course, I need to consult Dentist North lakes. Thanks for sharing this valuable post. Thanks Evared Son, for sharing such a useful info. I've tried different techniques and methods for teeth whiting in past and got better results with professional help only. Still if you don;t want to spend huge money you can try following effective teeth whiting methods. But I still prefer you to consult a reputed dentist before trying anything. We are living santa ana and this is the best in santa ana dentist we know. He suggest us to use these in small area and see if this does any harm. Backpowers and natron:- These agents should be diluted with water as a paste applied to the teeth. Can discolored teeth bleach, but on a abrasive (abrasive) effect. The tooth substance is worn and it comes with prolonged use to small cracks in the enamel. In these cracks, color particles are deposited. In the long run, this leads to even more discoloration. Conclusion: Not suitable for lightening, even dangerous for the dental health. Lemon juice and strawberries:- The lemon juice is applied pure with a toothbrush or as a paste together with baking powder (see above) on the teeth. Strawberries are pureed and also applied to the tooth as a paste. Fruit acids are natural acids that can lighten the tooth, however, the tooth surface is attacked and roughened. Here, too, injuries occur on the surface in which new discolorations can be deposited. Conclusion: Not suitable for lightening, can endanger the dental health in the long run. I read thousand of blog =s but this one is nice. Read about Swollen Gums: What it is – What causes it and get healthy gums. Want your smile to have that amazing white smile effect? Go with www.amazingwhitesmiles.com and get DIY & Quick Teeth whitening Products which gives you superior teeth whitening Instantly. You have Shared very useful information. Thank you so much. Nice Post. Thank you for sharing the post it..will be very helpful for readers. Keep Posting! Thanks for sharing this informative post. 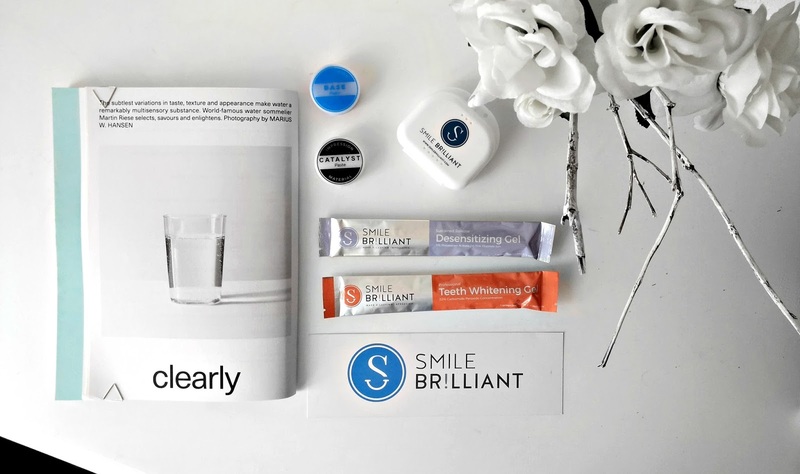 Check AMAZING WHITE SMILE for Teeth whitening products, their TEETH WHITENING features state-of-the-art teeth whitening technologies that are safe, industry-unique and very cost-effective. This whitening method is the least expensive way in the world to get professional results at home. Nice Blog Thank you for Sharing information. For any Dental Treatment WP Dental Centre in Colin Street of West Perth is Best choice.